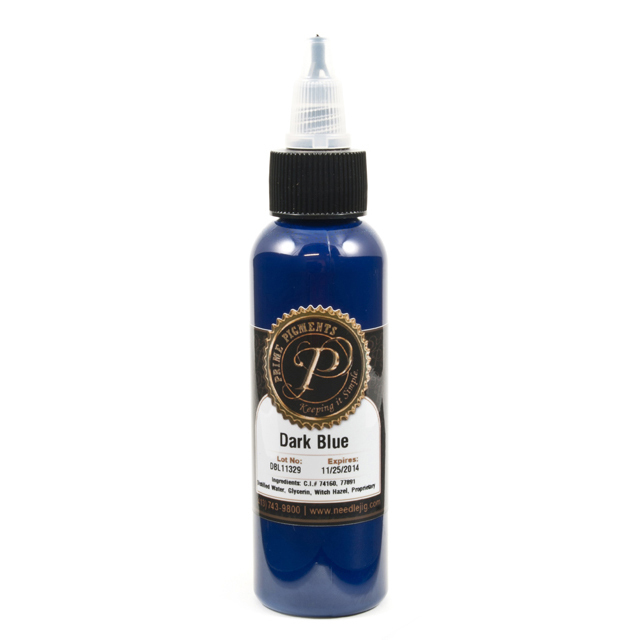 Blue green is a deep rich tone with an almost iridescent quality to it. A classic for humming birds, Koi fish and peacocks. Dark teal is a intense greenish blue tone. Slate is a medium bluish gray tone. A great color for metallic surface highlights and a great foundation for clouds. Aqua is a bold greenish blue tone. Use it to highlight waves and marine scenes. 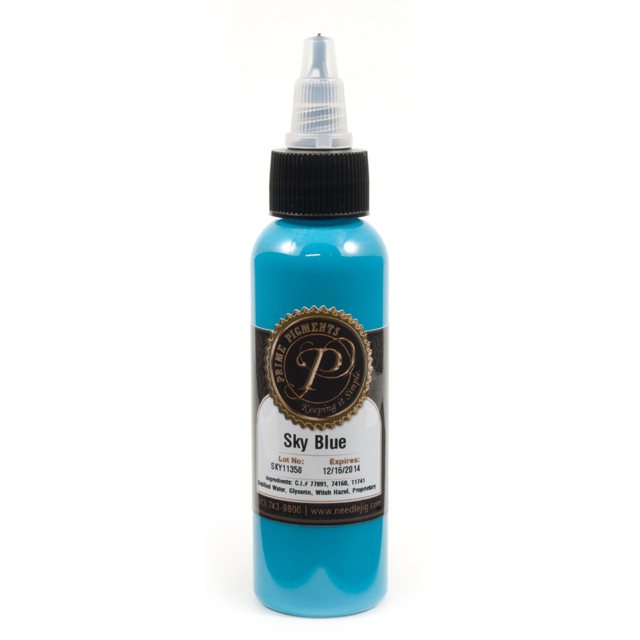 Sky Blue is a soft clear pastel blue. Very versatile can be used to breeak down tones for deeper blues. Baby Blue is a soft pale tone of blue. Great for highlights and delicate textures in details. Sea Blue is a beautiful shade of blue similar to the color of deep sea water. Blue is a stunning classic true blue, it will embellish any piece is used on. Dark blue is a solid concentrated shade of blue. A great blue to use in traditional old school tattoos. Denim is a unique muted greyish blue.